If I could name a theme for this week, it would be rain and gray skies. Cold rain. Oh, and wind. If you live in the midwest, it's been a tough month to be an outdoor runner. When I published last week's post about sucking it up and getting outside, I had no idea that I'd have to continue to take my own advice to push myself out the door. Having a half marathon on the calendar helped keep me motivated--there was training to do! According to local weather legend Tom Skilling, the Chicago area has only received 24% of all possible sunshine this month. 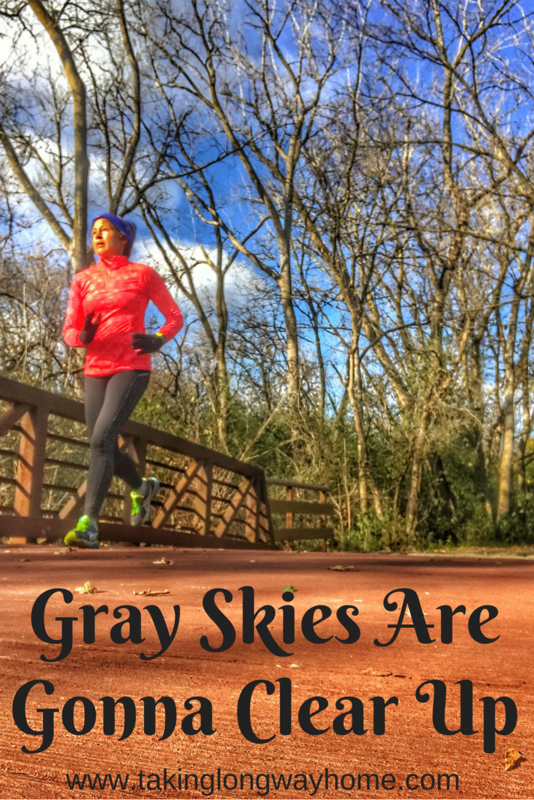 On Monday, I headed out to complete my long run that I skipped last Sunday due to rain and was rewarded with a peek at Mr. Sun. This run was relatively pleasant--it was cold but there was no wind. If I could have conditions like this all winter long, I'd never complain. The rest of the week was raw. Wednesday morning, I waited out the pouring rain and finally got outside to do 6 in the drizzle. This run made me realize that my endurance is slowly returning, as I was able to extend my run/walk intervals to 9 minutes run/1 minute walk! 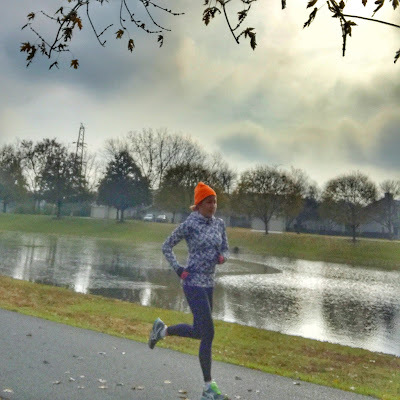 On Thursday, it was dry but it was windy and cold for my speedwork at the pond. What doesn't kill you makes you stronger, and I could have pushed a truck--at least that's what it felt like, running into that 25 mph wind. I was really proud to see consistent splits during all 6 of my speedwork intervals. I was also really happy to be done. On Saturday, it was pouring rain and I had to go to work, so that run didn't happen. Sunday morning, I woke up to bright sunshine! I had 11 miles to do and I was grateful to see blue skies. But....it was 28 degrees and there was a brisk wind. I headed out into the wind, doing my 4:1 run/walk intervals. It was tough. I kept telling myself that I got to turn around at mile 5.5 and I'd have that wind at my back. But even with the wind at my back, I struggled. This run was never easy. I may have collapsed face down on the floor when I arrived home. Where was the endurance I felt on Wednesday's run? I blame RA--I've had an uptick in symptoms this weekend. It occurred to me on this run that it's going to be hard for me to do anything consistently anymore. Ok, so if I feel like this next week at my half marathon, I need to remember this run to push me through to the finish. What else helped? *Not paying attention to pace. At all. Just rolling with it. *Directing a couple f-bombs at the wind instead of my body. *Singing along with some of my "angry" music on my running playlist. *Reminding myself of my vow to never DNF again. This includes training runs. *Using some of the techniques I learned from "Mindful Running". My mental game was on it for this run! CrossFit had me like.... on Tuesday, Coach Kate had another tough interval workout for us. We had 5 rounds of 1 minute of burpees, 1 minute of an activity, like ring swings, tire flips, KB swings, etc; 1 minute rest. I counted those burpees, and at the end of 15 minutes, I had done 50. 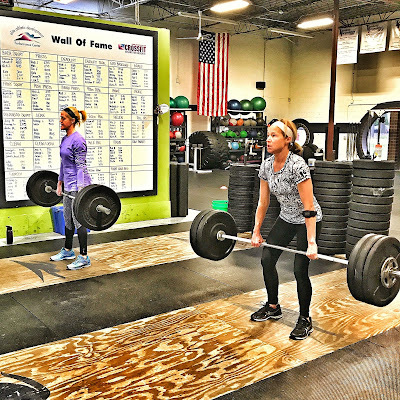 On Thursday, Coach Sammy Jo had us do deadlifts for our strength session, along with some other strength work. I definitely feel the results of all this hard work on the road, as I'm seeing progress with my endurance! Yoga didn't happen much this week and I did feel that. Having to move my runs around based on the weather has forced me to put yoga on the backburner. I did get in one post-run stretch video on Wednesday and that really helped a lot. After my race next week, I'm going to make yoga a priority again. How was your week? Have you had to juggle your workouts based on the weather? Or would you just take it to the treadmill? Don't get me wrong...it was tempting! What do you tell yourself to get through a tough run? 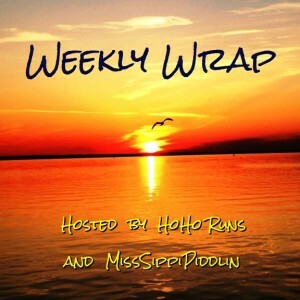 I'm linking up with Holly and Tricia for their Weekly Wrap. I am a gadget girl, as you know, and I dig my stats. At least my watch will come in handy for those intervals! This week worked out pretty well for me because the worst weather day was today, which was my rest day. It was raining and cold when I started my run on Monday but the rain stopped so that was a nice treat. Its tough to get motivated to run outside when its cold, rainy, and windy! Ive been listening to the wind howling all day and hoping it stops before tomorrow morning. Great job getting out there despite the gross weather. That was our weather yesterday! It was a good day to hunker down on the couch. In fact, I got all 3 blog posts written for the week! 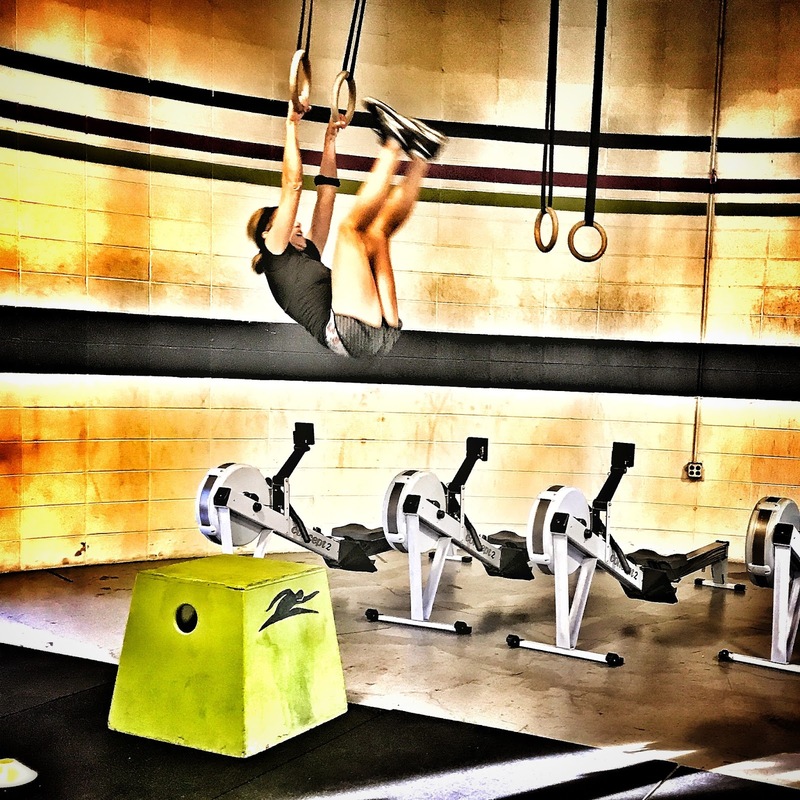 I do love those ring swings but they are seriously tough! This past week was challenging both mentally and physically. Funny as it sounds, I'm craving some cold temps and gray skies -- we're still wearing shorts and tshirts here in AZ! Oh, trust me, you'd get over that so quickly! The wind always makes it difficult. I do use the treadmill when the wind is strong. I can handle cold, but the wind can bite through my layers. The wind is always a deal breaker in the winter. You probably know, I flip my watch off its pace screen when I run long. It definitely helps me! Your CrossFit looks so intense and so impressive. I'm not sure your low sun Chicago week could energize this solar powered gal. I may have just stayed in bed. Good luck next weekend. Thanks for linking! I LOVE all your strength work. You look so powerful and strong! I feel strong--powerful, not so much! With all this grey I can just feel the vitamin D draining out of me. I'd join you at the half if we weren't going to have houseguests that weekend. Hopefully the sun will make an appearance like it did today! I wish you could be there! There's more Vitamin D available today. I'm so glad I no longer live in the Midwest. :) Good luck at your half next weekend. I wish I didn't! Man, it's been brutal. The sun is out again today tho--I'll be heading out for a short run around the 'hood. Way to get out there and battle the weather!!! I was sick for the better part of last week but didn't mind too much since it was awful out there!...although I will get my share this week, starting today :-( I have to say that CrossFit is getting better and better and I'm loving that pic of you on the rings!! I have yet to try those out except for dips! Good work out there mama - especially mentally - that will serve you well!! Glad to hear you're starting to warm to CrossFit. It's tough but it's effective! I'm just running less. More to avoid running in the dark than the cold. I need to figure out something, though, because I do miss my runs! I would miss it too! Although I'll never love the treadmill, I actually think running on it once a week (not that I do that consistently) is actually helpful for me. Allows me to push/control the pace and is easier on the body, too. When it comes to long runs, while I note the pace after each mile, I don't watch it at all (unless Rachel tells me to, which she hasn't so far). I am something of a fair weather runner, but I've also pushed through some pretty godawful weather, too. Happy to NOT be training for anything at the moment! If this weather continues, I may have to get back in the pool for some pool running--I find that to be much more helpful than the treadmill. Oh man!! I can cope with some cold but add no sun and wind and I'm out-- treadmill all the way!! Bring back the SUN! 2 days in a row! It's been really nice. This weather is crushing my soul. I'm glad you're getting all your workouts in! You're killin' it!!! You aren't kidding about the soul crushingness. It's been rough. Angry music works for me. I think running into the wind is the very toughest thing for me to do mentally. I'm not sure why. I used to avoid it but now I changed my mindset so that I think about the wind making me a tougher runner. I don't focus on pace, just on effort and I put my head down and get it done. That being said, if I trained for months for a goal race and then showed up at the start to torrential winds, I'd get back in my car and drive home. HA! You say that but if you trained, would you really go home? I'm excited alternating with dreading my half on Saturday. This time of year is always a crap shoot. I can do cold, but cold and rain? That is very hard to force myself outside in for a run. Good job getting everything done despite the weather! It's do or die time! Yikes! That's tough. I'll go indoors if it's too rough but I also remind myself during tough runs that race day could throw anything at me so whatever I'm doing now is building toughness that'll prepare me for race day! I don't mind the cold at all...it's easy to bundle up and we all know how to do that, living in Chicago. It's the wind that gets to me, especially when it's rainy or damp. I just can't shake that bone-chilling cold! Even though it was "warm" today, that wind was so soul-sucking. I'm glad to hear that crossfit is helping your endurance! I just started a few weeks ago so I'm looking forward to seeing progress in mine (hopefully). I don't like when its dreary outside either- I'd probably have a tough time motivating myself if I were in your shoes. 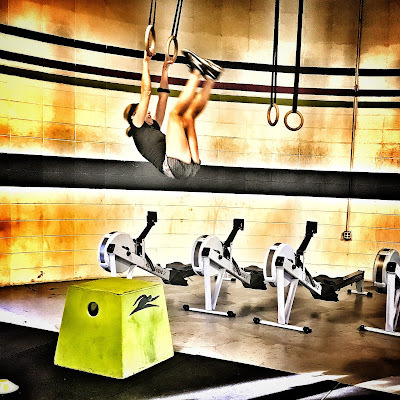 I've been doing that CrossFit for the last couple of years--it's been a game changer for me. Your perseverence is so admirable. I love that you just get it done. It's been cold in the early mornings for us (40s and 50s) and Sunday's run was also crazy windy. I struggled hard in the first few miles, but we settled into it before long. I very rarely bail on a run, so for me it's just get it done, regardless. Fortunately, we don't get really really nasty weather like you do, so unless there is a hurricane, chances are you can get outside for that run. I'm like you, I rarely bail on a run. But man, it's tough. The thing is, who's tougher? I am a wimp when it comes to cold weather running or wind or rain. I would rather just do the treadmill. 100% agree with you on the sunshine. I'd rather have bitter cold and sun than gray and drizzly. Weather definitely makes an impact on runs. 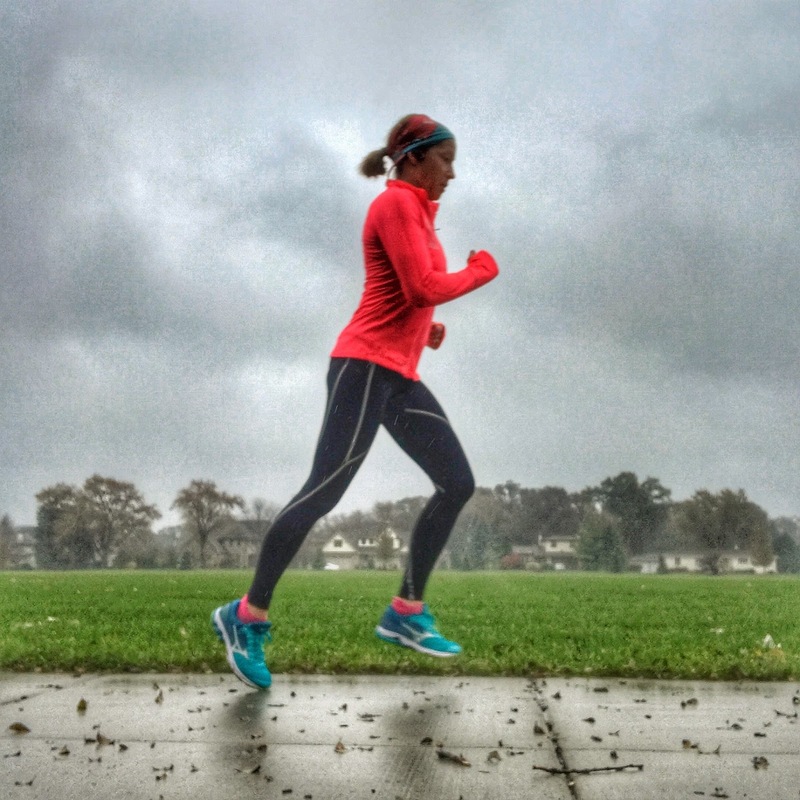 I find it harder to run when it's raining or freezing out so way to get your runs done! Those rope swings look really cool! You look like you are doing great on your strength training! 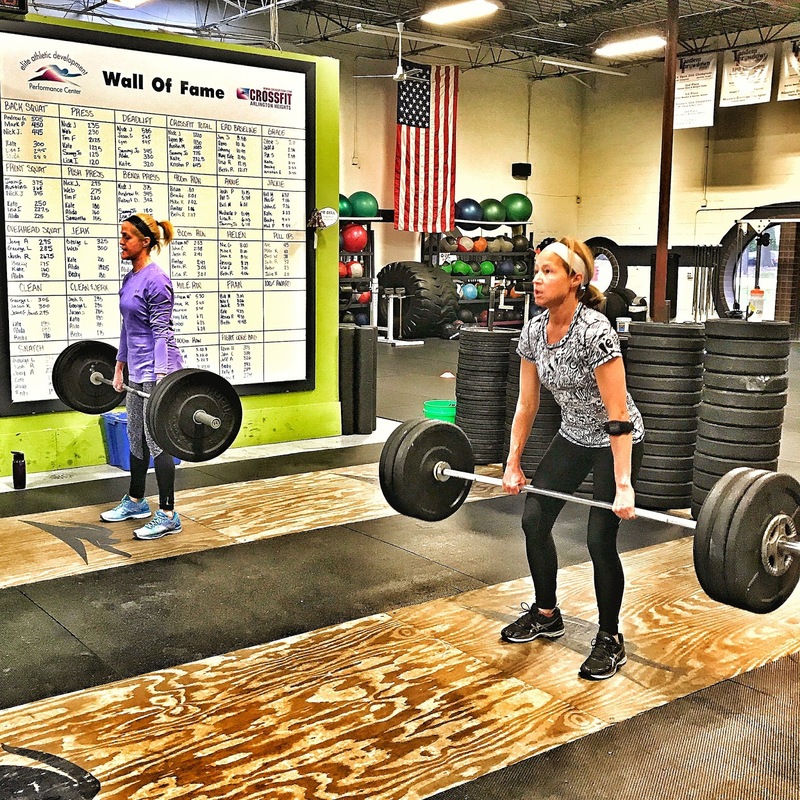 The strength training is the one thing that has remained consistent. I'm so grateful for that. Seriously, how do you do those ring swings without falling down? You have to have an incredible grip in addition to some serious abs!! Do you chalk up the hands? Wear tape or gloves? You had a great week of running despite the wicked weather there. Good luck on your Thanksgiving Half Marathon ...you'll do great! And if you find yourself struggling ...try to switch your train of thought to "just enjoy the journey". Happy Thanksgiving Wendy!! Chalk helps to keep my hands on the rings! They are a lot of fun to do but they are tough. I've enjoyed road cycling all summer and fall, and now it's getting too cold in the mornings to do that. I can do power walking in the cold no problem, but biking is a different story. In the rain though I don't do either. Great job on your workouts this week! I am totally a fair weather cyclist! It it gets below 60, nope, no how, no way. Cold and wind make an awful combination... way to stick with that run! It sounds like you had a very busy week! As I’ve gotten older, I don’t worry about my pace anymore and just enjoy being out there! I know I shouldn't worry about pace, but my ego isn't ready to let it go. Rolling with whatever pace comes seems to work for me right now. Just keep moving is my mantra! I can't picture you listening to angry music! LOL! I dont miss the cold and no sun in the late fall winter months, that's why I moved to Florida. Good luck with your runs! It's not always easy, but you sure are a trooper.